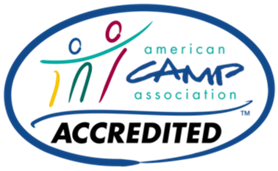 Camp Minnesota is accredited by the American Camp Association, the national accrediting body for camping programs and a leader in childhood development, education, and welfare. To earn accreditation, Camp Minnesota camps comply with about 300 health, safety, and program quality standards. Across the country, only one in five camps seeks and earns this distinction. Camp Minnesota regularly reviews every facet of its program and operations. More information about ACA Accreditation at www.ACAcamps.org!